I'm writing a Saturday post to bring you some very important news: Today I started a free week of yoga at Core Power. They have this deal that if you've never taken a class there, you can go to as many different studios/classes as you want within a seven day period. Sweet, right? Having only done yoga a few times at Lifetime, I thought I better start with an intro class. Colleen was kind enough to come with me and we took the C1- Intro to Power Yoga class. We go there early to register and get situated. We were the first people in the studio and set up our mats in the back of the room (duh). The studio was really warm and it felt great to relax a little before things started. The instructor was a super cute, super fit young girl and she did a great job leading us through everything. I was a little surprised by the speed the class moved. If I had never taken yoga before I would have been completely lost. We did a lot of sequences (Flowing, maybe? I don't speak yoga.) and I was a sweaty mess about 15 minutes in. I felt off-balance in some of the poses and my hamstrings were really tight, symptoms of my weak core and running habit. I'll work on that. By the end of the class I felt comfortably fatigued, like I had a good workout. We were both starved after so we went to Yum to grab lunch. 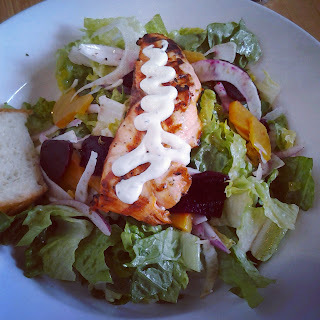 I wolfed down an amazing salmon beet salad. Since I want to take another yoga class tomorrow, I decided I would get my "long" run in today and successfully completed 7 miles on the treadmill. It was my longest run in a few months but it was a little depressing how slow my pace is now compared to what it used to be. The good news is this marks the fourth week that I've been consistently running 4 days a week! I'm celebrating the small victories. 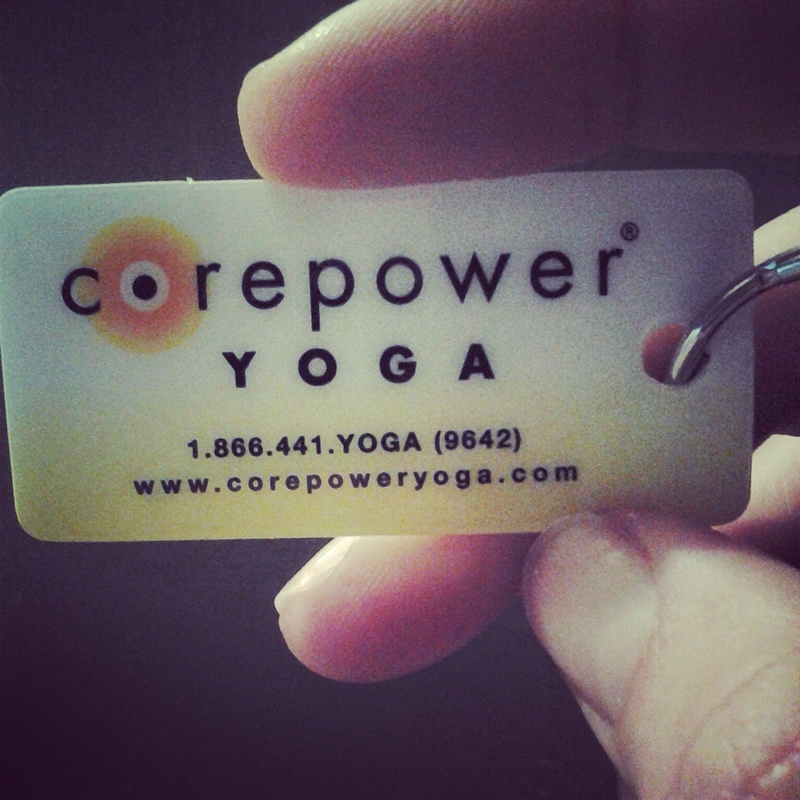 I practice at Core Power, and I love it! Take advantage of your free week and try many classes and instructors! And if you have the ability to check out different studios, do that too. I primarily attend classes in Saint Louis Park and Minnetonka, and there is definitely a noticeable difference between the two studios. Thanks for the advice! SLP and Uptown are the two closest studios to me but I've heard good things about Minnetonka. Any favorite instructors or classes? I'm so sore today after all the high-to-low planks that I think I'll take today off! I generally take C2 classes because I love the variety; it's a different sequence every time. Erin J's and Bre's classes tend to be my favorites (but their classes tend to work best with my schedules, so I'm sure other great instructors teach at different times :) ). Erin's flows are always a nice balance of strength and thoughtfulness, and Bre's commentary throughout class is always so insightful and thought provoking. She has a way with words that really makes me think (and wonder what in the heck I am doing in this world...). Don't be afraid of the C2s. As long as you know the names of most of the postures, you will be fine and able to keep up in these classes. People of all skill and experience levels take them, and there are modifications for any posture. To tolerate the heat, place your mat near a window or supply room closet. Or just place your mat as far from the heat supply ducts as possible. Have fun! Thanks so much for the info! Maybe we'll run into each other in the future!